LCBA members shared fun & fellowship at our 5th (!) Annual Summer Potluck. Once again Bob & Sharon Harris shared their beautiful Rose of Sharon Farm with us. We held a raffle to benefit former member Wilma Sofranko's nonprofit group, KiReeCo, a farming cooperative in Kenya ~ Wilma is gearing up to train 350+ new beekeepers, whose bees will help pollinate their crops and raise honey that the new beekeepers can sell to help fund their children's schooling. 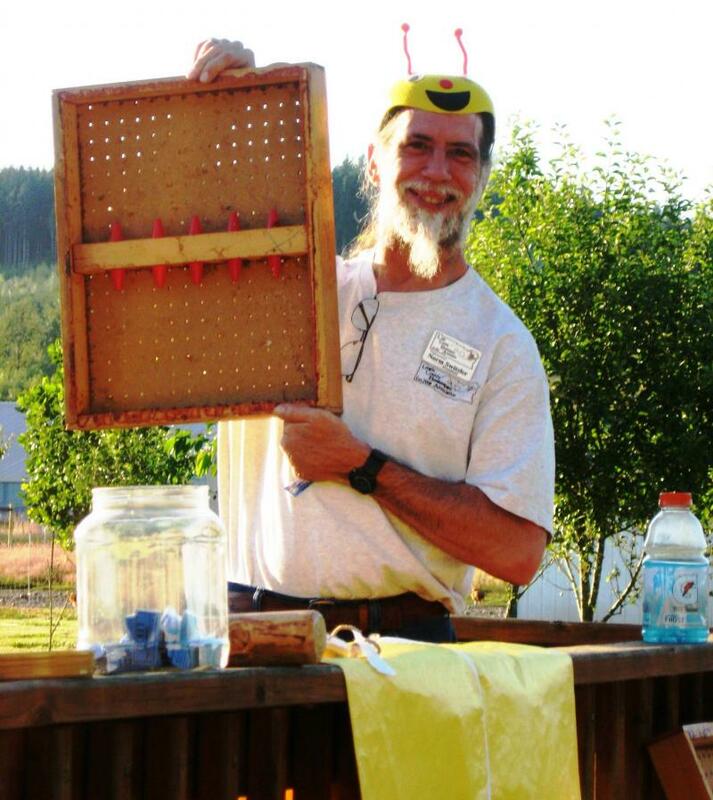 Below, Herb Keeling displays his case of canning jars - or maybe honey jars? Maggie Keeling won twice and took home LCBA mugs for the both of them. Above, LCBA President Norm Switzler (wearing the Hat of Beekeeping Authority) & helper Michaela ran the KiReeCo fundraising raffle. Below, members relax . . .